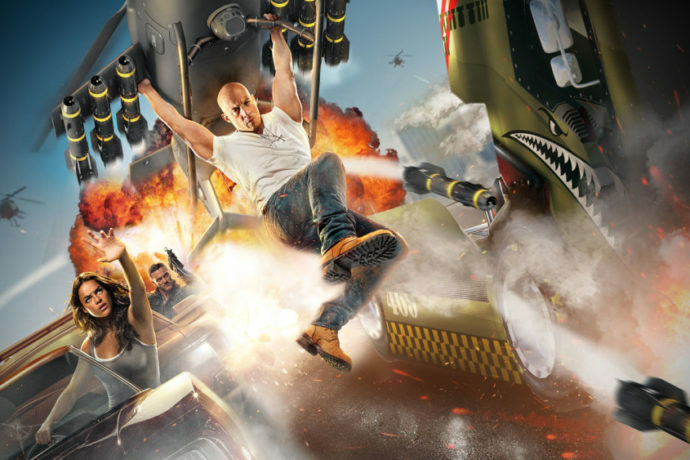 The rumors can finally be put to rest, Fast & Furious: Supercharged has been officially announced for Universal Studios Florida. To make way for the new thrilling ride, Disaster: A Major Motion Picture Starring You! will close permanently on September 8, 2015, with Beetlejuice Graveyard Revue closing later this year. All indications are that the area will remain themed as San Francisco, which not only will save Universal a lot of money, but will retain the area’s existing restaurants and sights, (which is good, considering this is where they chose to move the picture spot of Bruce the shark from Jaws.) This new attraction is slated to open sometime in 2017, the same year Universal’s new water park Volcano Bay is scheduled to open. The announcement comes just a few months after Fast & Furious: Supercharged opened as part of the tram tour at Universal Studios Hollywood (watch a ride video here). It uses a similar style of technology as Kong 360 where the tram travels through a large corridor of 3D screens while wind and motion base effects help create the illusion of high speed. Currently it is not known how the Florida version will differ, but considering the attraction’s name has not changed, and the fact that they’re building it on the site of the Disaster ride, it’s quite possible that the ride video will remain relatively, (if not entirely) the same. The biggest difference will be the ride vehicle. Perhaps, to save time and money, a modified version of the Disaster (formerly Earthquake) subway tram will be used, as it is a similar shape as the Hollywood tram tour vehicles. Personally I’d like to see something new for the Orlando park, but it’s definitely time for Disaster to go away, although I will miss Christopher Walken as Frank Kincaid, you’re welcome. Read below for full details about the new attraction and stay tuned for more Universal news!